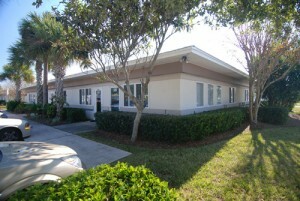 Don’t miss your chance to buy this pair of office parks located in a prime location in South Jacksonville Beach, FL. The 53,000 sq. ft. property is located in an irreplaceable location where there is no vacant land for development and no more commercial zoning. Directly across the street from a Class A retail center anchored by Roy’s Restaurant, Bone Fish Restaurant, Starbucks, Rosenblum’s, and other high-end shops. double the amount of windows than competing spaces for lease. More than 5 parking spaces, per 1,000 square feet of office space, situated at the front door of each office suite.